Recent additions to the Pearl digital archive include a variety of foreign mission personal paper and photograph collections, a new web archives collection, and oral histories with synchronized and downloadable transcriptions. 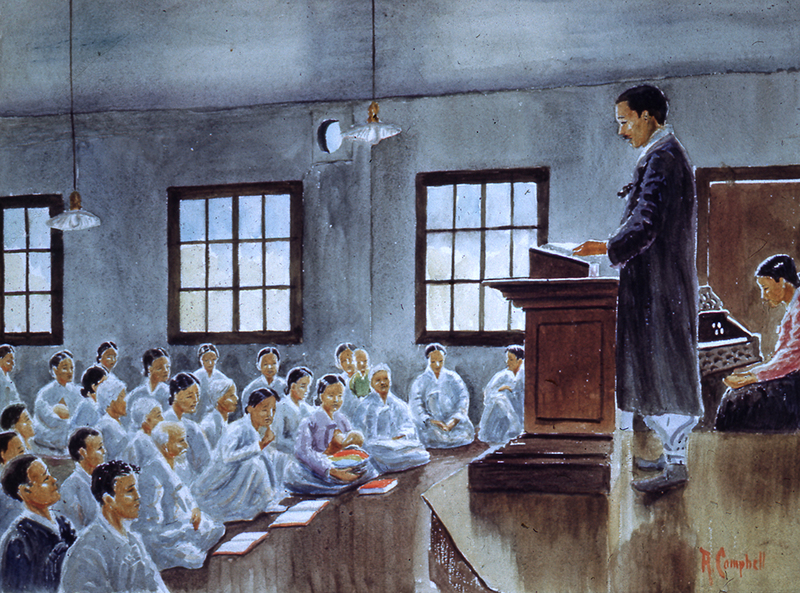 Correspondence, biographical materials, and photographs documenting the Millican family's missionary experiences in China, and to a lesser extent in the Philippines, emphasizing the difficulties of their work during the Sino-Japanese War of the late 1930s and during the post-World War II years. 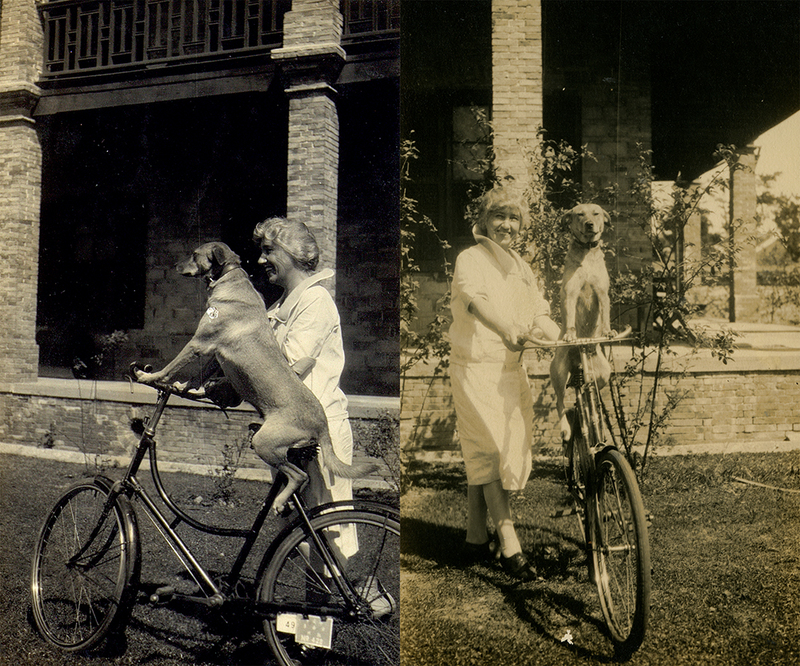 Edith Millican's correspondence documents medical work in China during and after World War II, giving insight into the training and experiences of, and opportunities for, American women doctors. Also included are photographs documenting Edith Millican's time serving the Board of National Missions as a physician in New Mexico. William Martyn Baird, Jr. (1897-1987) and his brother Richard Hamilton Baird (1898-1995) were born in Chosen (Korea) to Presbyterian missionary parents, William Martyn Baird (1862-1931) and Annie Laurie Adams Baird (1864-1916). Both men served as missionaries in Korea under the Board of Foreign Missions of the Presbyterian Church in the U.S.A. The collection includes photographs primarily documenting the Korean mission and the Korean Presbyterian Church, as well as Baird family members; correspondence; a travel account by Richard Baird; and material pertaining to the Rev. 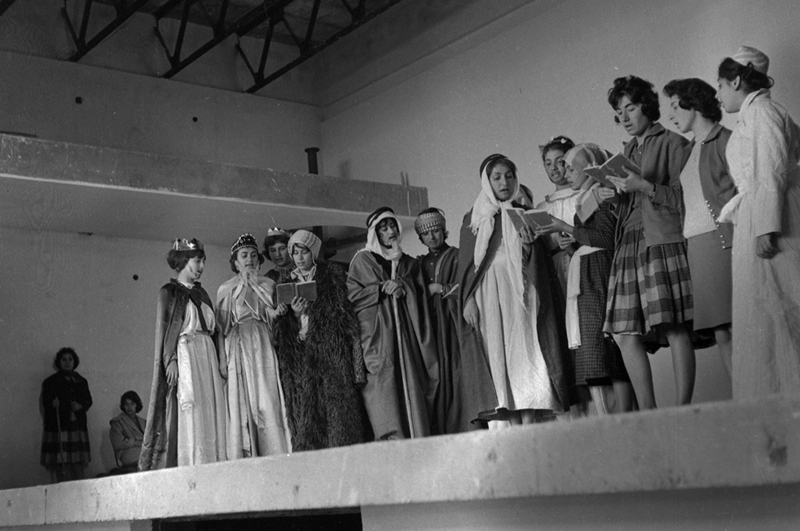 Carl McIntire and the Korean Church. The Adams family served as missionaries in Korea for two generations. This collection includes photographs, negatives, and a photograph album primarily documenting the period of the family's life and work at Taiku (Taegu), Korea. The collection also contains annual meeting photos of the Korea/Chosen Mission; a few "Dear Friends" letters written by Edward Adams in 1937, 1938, and 1941; and his annual personal report from Korea for 1938. Photographs of Baghdad High School Mansour, a school for girls in a western district of Baghdad operated by the United Mission in Iraq. 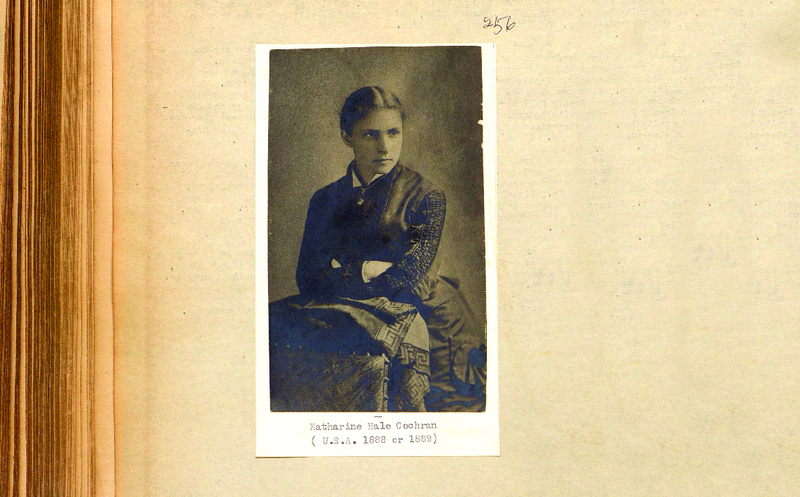 Collection of letters written by Presbyterian missionary Katharine Hale Cochran while serving in Iran from 1878 to 1895, edited and compiled by Cochran's sister Mary Hale in 1916. The collection was later rebound and photographs were added to illustrate the text. Slide presentation depicting the country and people of Korea, arranged for a children's lecture. Script and original art work by Rev. Archibald W. Campbell. 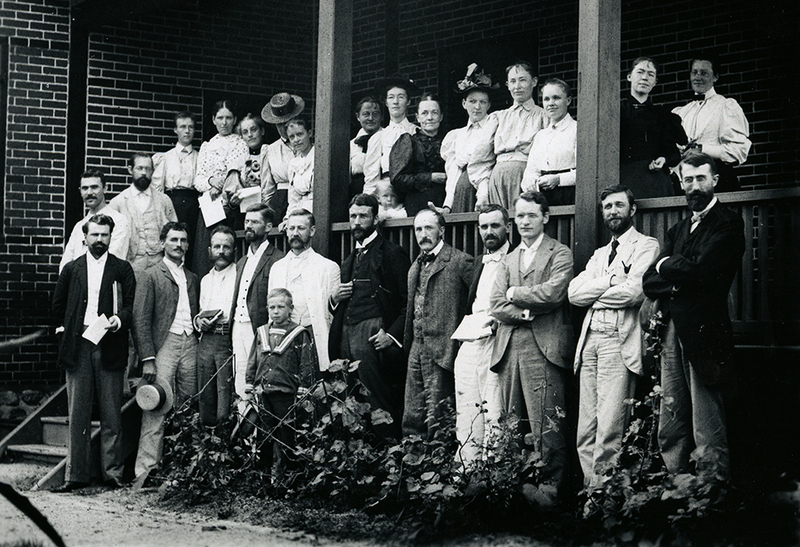 The 115th General Assembly (1903) of the Presbyterian Church in the U.S.A. appointed the Special Committee on Forms of Service to prepare a manual that would standardize the form of special services, such as marriage, baptism, and communion services. Henry Jackson Van Dyke, Jr. (1852-1933) was appointed Chair and the Committee produced a manual in 1906 entitled: The Book of Common Worship. This collection contains minutes, reports, publications, correspondence, manuscripts, and other material relating to the work of the committee. In the summer of 2013, the Presbyterian Historical Society began a partnership with the Internet Archive through their Archive-It program to curate and collect PC(USA) and related websites. The web archives contains national, synod, presbytery, missionary, and ecumenical websites captured at various intervals. A collection of digitized and born-digital audio and video oral histories utilizing a viewer for displaying synchronized transcripts alongside video and audio files. Example of the oral histories viewer. 1 hour 48 min ago. Happy #EarthDay from the Presbyterian Historical Society! Here is an image of the very first Earth Day in 1970 that comes from our collection of Religious News Service photographs. To view this image and read about the Presbyterian Church and it's involvement in environmental causes over the years, visit https://buff.ly/2GznHvN.